A year and half after being introduced to UK audiences via her BREAK AND BLOOM album, Jane Kramer quickly returns with a follow up record. CARNIVAL OF HOPES gets it release over here on 8 January and has evolved into a quite impressive body of work. We were introduced to Jane as an artist working in the creative Pacific Coast melting pot of Portland Oregon and now we see her heading back to her Appalachian roots with stunning results. The record is knee deep in raw roots elegance with banjo and fiddle featuring prominently alongside an abundance of honest, thoughtful and reflective writing. The calling to return to Asheville is the theme for the record and the clear winner from this renewed inspiration is the listener who maybe is taking a chance on an unknown artist for the first time. 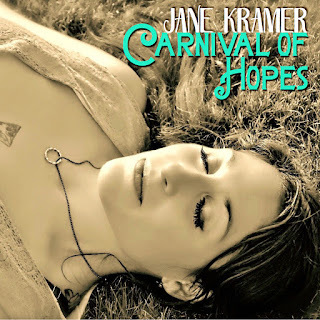 There are a number of clearly defined routes for this type of music into the UK and there is no doubt that Jane Kramer has the potential to make more than a fleeting impression with the strength of this album. If anything it has more defined qualities than its acclaimed predecessor with an earthy, worn and gritty take on real life. Devoid of any superficial elements, this is a straightforward hard-core dose of reality showcasing a lauded brand of American roots music. On a record neatly packaged in a ten track format, Jane features nine of her self-penned compositions leaving room for a solitary cover to anchor the record in track #5 position. The choice to include the Tom Petty homage to the southern states ‘Down South’ is an apt move considering Jane’s own decision to return to her home state of North Carolina. The fit is seamless as either side of this pivotal number are songs brimming with emotions and forever exploring a variety of musical directions. In the second part of the record ‘Why I’d Do That Blues’ features a little brass and encompasses a sound as implied in the title. 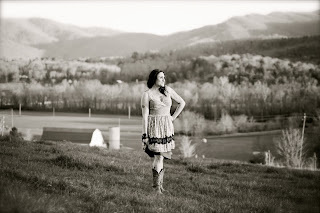 In an alternative roots direction, ‘My Dusty Wings’ brings the curtain down with an old time bluegrass feel and a sentiment that sometimes you need to dance away your problems. Two similar tracks in length and impact cement the album’s appeal in its latter stages with ‘Truth Tellin’ Lies’ matching the previous song ‘Highways, Rivers & Scars’ in the depth of its issues and feelings. Earlier in the record ‘Truck Stop Stars’ unveils deep inner thoughts from forever seeking your true destination. This is one of many songs on the record sung beautifully and impassionedly by Jane while retaining an aura of discovery upon each listen. On a record which maintains a high standard from start to finish, the first four tracks set the bar at the level required for a release of profound impact. ‘Half Way Gone’ wonderfully swings the album into motion with fiddle strongly driving this opening track which delightfully states that there ‘is not enough brown liquor in the whole state of Tennessee. ‘Carnival of Hopes’ has the potential to move the listener within a tune commendable in the way it weaves into your aural senses. ‘Your Ever Green Heart’ is another solid effort, but perhaps slightly overshadowed by the superior and hard hitting ‘Good Woman’ which makes the most enticing claim for being the stand out track, although this will rotate on each listen. Fans of American roots music will absolutely connect with the music of Jane Kramer and CARNIVAL OF HOPES possesses a limitless appeal to sustain a lengthy presence in the accessible portion of many a record collection. Super sounds, meaningful themes and authentic vibes are all present to make this a record of great merit.